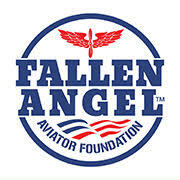 The Fallen Angel Aviator Foundation is a recognized non-profit 501 (c) (3), association of former and current military Aviators, Veterans from all services and friends of the military. The Fallen Angel Aviator Foundation is dedicated to serving our country’s Fallen Aviators, Air Crew Members, Fallen Comrades and their Families. Membership in our foundation is voluntary and allows for our organization to honor Aviators and Air Crew Members who gave their lives in the service of our country. On 23 September 2014 Fallen Angel Aviator Foundation formed and received Internal Revenue code 501 (c) (3) status effective 22 August 2013. The formation was made possible through a grant from the BOE Foundation, Boulder, Colorado. Mr. George Boedecker and his generous contribution exceeded the sum total of all donations made previously to construct the 11thAviation Command Memorial Project. He also extended the expertise of his legal counsel and Boedecker Foundation staff to assist and mentor the foundation in moving forward. Mr. Boedecker and his unwavering support to our nation, our military service members and military families reflect great credit upon him and the Boedecker Foundation. The foundation continues to identify much needed support to our Fallen Heroes. We are incoordination with several other well established non-profit military support focused organizations to conduct fundraisers in 2015. Kevin Costner graciously assisted the 11thAviation Command in raising funds initially for their memorial project. We hope to continue this relationship as we plan our annual Gala in late summer at the ACME Feed and Seed in Nashville, Tennessee. Our Gala will raise funds to honor those who lost their lives in Operation Red Wings, the Task Force 160th MH-47 Chinook “Turbine 33” shot down in Afghanistan 28 June, 2005. The book “Lone Survivor” written by Marcus Luttrell, the lone Navy Seal survivor during the Battle of Abbas Ghar in Afghanistan and later recreated in the movie starring Mark Wahlberg depicts the events leading up to the unthinkable fate of “Turbine 33”. We will donate a portion of the funds raised to The Families of Fallen Night Stalker Organization. As part of our Children’s Fund we will partner with the AirPower Foundation in support of the American Airlines Snowball Express. Our Memorial Fund will finish the 11th Aviation Memorial at Fort Knox Kentucky. Our General Fund primarily focuses on Post Traumatic Stress Disorder (PTSD) and Addiction counseling for both families and Veterans. The Memorial Fund allows for a fitting and permanent remembrance bringing some closure to our families and honoring those who have made the ultimate sacrifice to our great nation. All our funds are dispersed directly to the services provided, funds are not dispersed directly family members in accordance non-profit guidelines. With no paid staff or board members, our expenses are limited to general administrative, accounting and legal services to maintain IRS regulatory requirements which allows us to give back almost all the funds raised. Although we are aviation centric, we are not aviation exclusive in our giving back. We are a Guide Star Gold Member participant committed to providing transparency and maintaining the trust of those we serve.